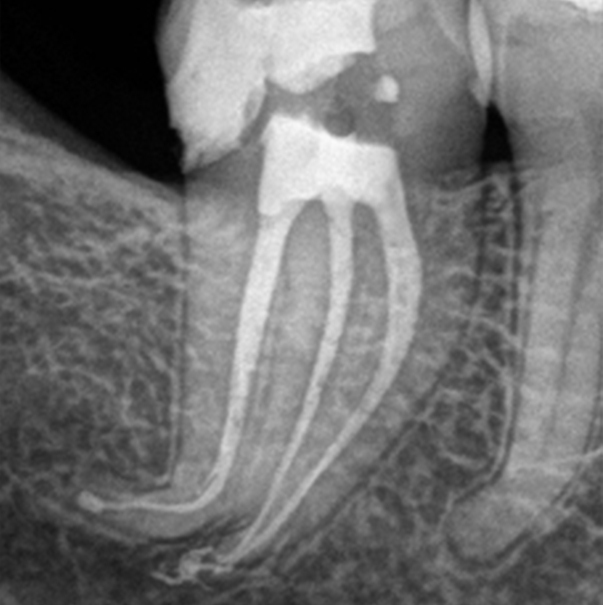 A twenty-three year old male presented for endodontic treatment due to carious pulp exposure. 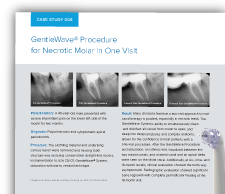 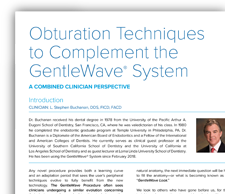 A mandibular right second molar with a large carious lesion invading the pulpal space was treated with the GentleWave® System. 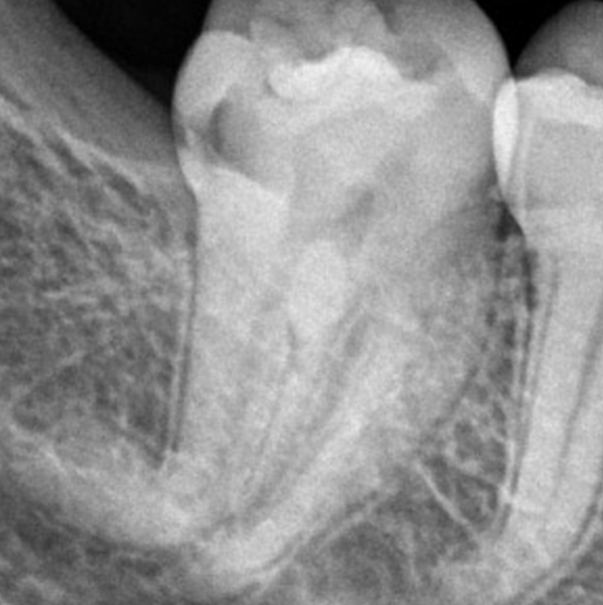 The entire root canal system including the lateral canal was cleaned and obturated.